SAN JOSE, Calif., — The 2014 edition of the U.S. News & World Report college rankings, available now online, shows SJSU at eighth overall among the West’s top public universities offering bachelor’s and master’s degrees, up from ninth overall last year. San Jose State’s Charles W. Davidson College of Engineering also received top marks, ranking second in the nation among public engineering programs offering bachelor’s and master’s degrees, excluding service academies, up from third last year. “There is no doubt about it. A huge percentage of the engineers, scientists and business professionals powering Silicon Valley chose to develop their talents at San Jose State University because SJSU offers moderately priced, nationally recognized programs right here in the epicenter of innovation,” President Qayoumi said. 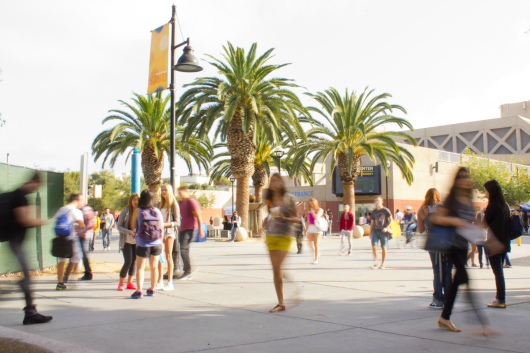 San José State — Silicon Valley’s largest institution of higher learning with 31,300 students and 3,850 employees — is part of the California State University system. SJSU’s 154-acre downtown campus anchors the nation’s 10th largest city.